24 hour automotive locksmith Coquitlam needs are quickly covered by our local business. Lost your auto key? Can’t open the trunk or car door? Rely on us at Locksmith Coquitlam for fast services. We can deal with problems related to the auto keys and locks by most foreign and domestic brands, and use the most advanced software and programming machines in British Columbia for accurate key cutting and programming. When it comes to transponder keys and auto locks change, lockouts and lock issues, you can completely trust the services offered by our company. 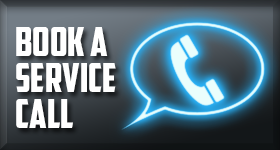 With respect to your car and current demands, our team responds as soon as possible to your calls for help. Every truck of our business contains a great number of car locksmith tools, but also special systems for the precise cutting of transponder keys, their programming and fixing. 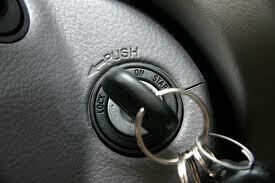 If you suspect key issues and cannot open the auto door, let us check the communication between the key and the car. With the right diagnostic equipment, we immediately spot and fix the problem. When you are experiencing a car lockout, let us find and repair the problem. We offer emergency 24 hour Coquitlam automotive locksmith service. Did your key get stuck in the ignition? Our professionals can fix ignition problems, offer ignition key replacement, unlock the stuck steering wheel, open the trunk and repair vehicle locks. All services are done in a timely manner, and by technicians with vast experience in auto locksmith and expert knowledge of the latest developments in the global automobile industry. Whether you want to change the locks of your car to increase its security or need an automotive key madeurgently, depend on the expert job of our technicians. We serve people in the Coquitlam area and can help on a 24 hour basis. Vehicle key and lock issues are handled fast by our professionals thanks to our mobile services, great tools and fast response time. Need a car key made and programmed as soon as possible? Call us now.